The Zyliss Control Utility Knife is a sharp stainless steel knife that allows total control. It is the best knife for fitting your hand and individual food prep style. Use various grips, rest your finger and even use two hands. Zyliss Control brings professional kitchen knives to everyday cooking. The Zyliss Control Knives are a highly innovative range of kitchen knives that have been designed to fit the way you use this everyday kitchen tool. 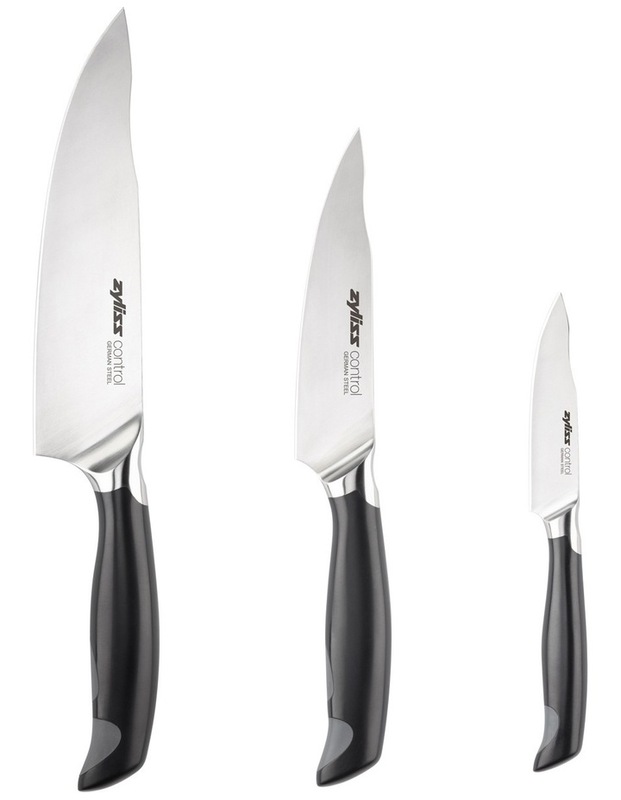 Made from German stainless steel, the Zyliss Control range brings professional kitchen knives to your home. The handle includes antibacterial protection, a non-slip grip and contours for comfortable hand placement. The blade has a thumb and finger rest to allow different grip styles.